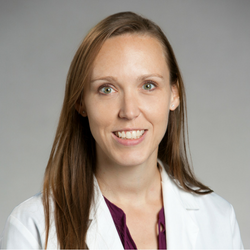 Meghan Lane is a graduate of Duke University's Physician Assistant Program with a Masters of Health Science. Prior to graduate school, she earned a BSN from the University of Texas Medical Branch at Galveston and worked as a Registered Nurse in the neonatal and pediatric ICU. Meghan has spent her career as a Physician Assistant working in pediatric critical care. During her time in the ICU, managing severe asthma became one her passions and grew her interest in allergy prevention.